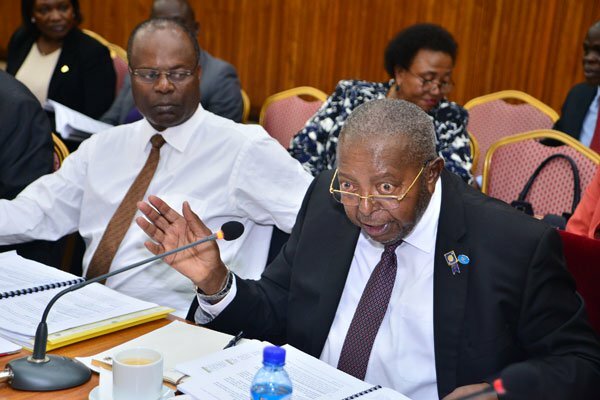 KAMPALA – The probe into the closure of the seven defunct Banks by the Parliament has moved to the second bank, International Credit Bank (ICB) with revelations that the Central Bank closed the financial institution without an inventory report. Appearing before the Committee of Commissions, Statutory Authorities and State Enterprises (COSASE) the Bank of Uganda officials were responding to queries raised in the special audit report that investigated into the process leading to the closure of banks. In the report, Auditor General, John Muwanga expressed concerns over the failure by the Central Bank to maintain an inventory of assets and liabilities at the closure of ICB. In his submission, Tumubweine Twinemanzi, Director Banking Supervision said told the Committee that a copy of the inventory report was submitted except it’s not an inventory report but rather an inception report. COSASE Chairperson, Abdu Katuntu wondered why the Central Bank did not follow the Financial Institutions Statute which required the Bank to make an inventory report to highlight the assets the Central Bank was taking over upon closure of the Bank. “If you’re following the law, you should follow the law. The document he is referring to as one of the confidential reports, though perusal, there is nothing confidential about this document. He has called it an inception report and this was prepared by KPMG on the September 2001 and the bank was closed in 1999. Can you call this to be an inventory?” Katuntu asked. Edward Katimbo Mugwanya who worked at Bank of Uganda before leaving 14years back told the Committee that it was the authors of the report, KPMG that had been hired that called it an inception report, and assured the Committee that the document presented answers all questions and was reconciled with the report as per take over. Katimbo then shifted blame to Fabian Kasi who was the staff of the Bank at the time and is then the Managing Director Centenary Bank and asked the Committee to be flexible, because the questions being asked pertain events that took place 25years ago. Anita Among, COSASE Chairperson made attempts to have Kasi appear before the Committee but her request fell on deaf ears with Katuntu pointing out that the submitted document didn’t a signature, revealing the document needs to be referred to auditors since the contents had been handwritten.